Does torture work? 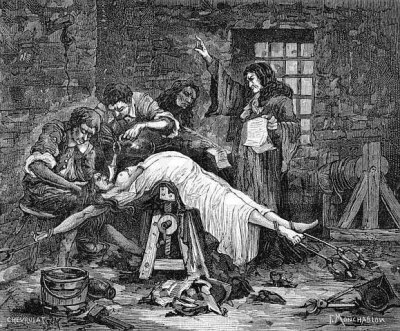 Does torturing enemies increase our national security? According to the U.S. military the answer is no. The military opposes "enhanced interrogation techniques," because our use of torture aids al Qaeda recruitment, erodes support among our allies, and is less effective than traditional interrogation. Those who apply "enhanced" techniques admit that traditional interrogation yields more reliable intelligence. The tortured say whatever makes the torture stop. Usually that has little relation to truth. During the Bush administration there was not one documented instance of torture saving American lives, pandering to the contrary then and since notwithstanding. Is waterboarding torture? Following WWII the United States convicted Japanese officer, Yukio Asano, of war crimes for waterboarding a U.S. civilian. Asano was sentenced to 15 years of hard labor. If waterboarding is torture and a war crime when our enemies employ it, isn't it the same when we use it? Often overlooked is the demoralizing and dehumanizing effect torture has on the torturer. The U.S. Constitution promises freedom from "cruel and unusual punishment." What claim have we to moral superiority when we deny prisoners that same fundamental human right? How are we better than our enemies when we engage in their barbaric, inhumane behavior? How can a commander-in-chief or a nation ask its warriors to perpetrate such morally dubious acts? Use of torture not only violates our international agreements, it is contrary to our basic values as Americans. If in time of threat we torture our enemies, are we not already defeated? Are we not lost when we willingly sacrifice the core values that define us? I think hope we're better than that.